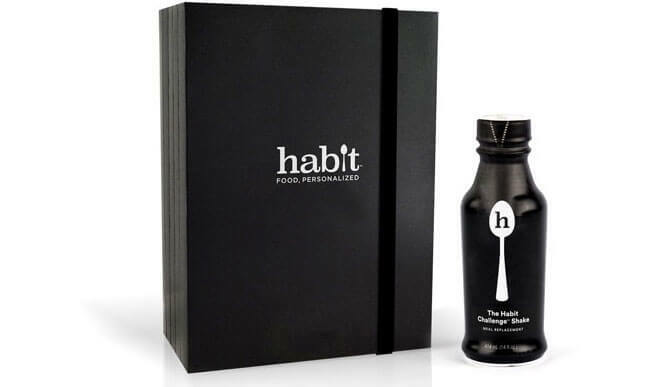 Habit is a personalized nutrition company founded in 2015 by Neil Grimmer (the co-founder of Plum Organics) and headquartered in Oakland, California. 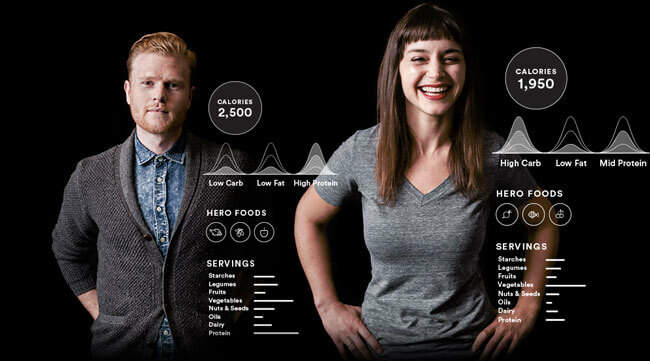 The goal of the company and its tests is to transition its users from one-size-fits-all to personalized diets and dietary habits. 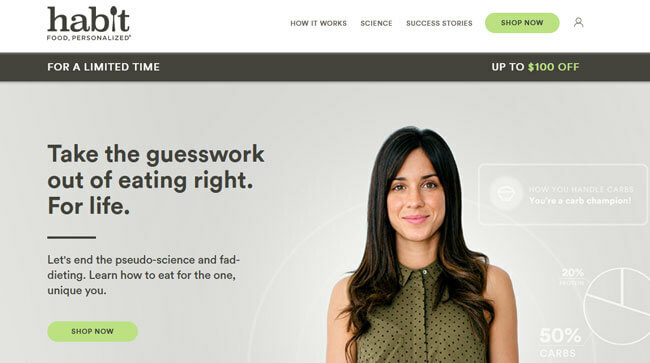 Its at-home testing kits were designed to discover unique details about your metabolism, lifestyle, genetics, and goals in order to create personal eating recommendations solely for you. Just because something works for others, it does not mean it will work for you, so keep reading our detailed Habit review to learn how to stop forcing things and get in tune with your personal needs. It all starts by placing an order on the official Habit website, which is not just informative but also quite easy to navigate. Once you add your chosen testing option to the cart, you will be prompted to provide some personal data, including your address, date of birth, whether you are diabetic/allergic to dairy/vegan/male or female/pregnant or lactating (if female), first and last name, and personal email. You will also have to provide your shipping address (no PO boxes) and choose your payment method. Habit test is not covered by insurance, but it may be paid for with your FSA or HSA account. Once the kit is sent, you will receive a confirmation email with a tracking code. It should arrive within 10 business days of purchase. After receiving your personal Habit at-home testing kit, you can register it on the official website by entering the unique kit number and accepting the company’s Terms and Conditions. Note that the physical testing materials in the kit do not expire and the proprietary shake is shelf-stable and does not require refrigeration. However, it does have an expiration date. Once your kit has been registered, your personal lab order will be created and your samples must be submitted within 5 months. After the registration, you can proceed to collect all the information and biological samples needed for a successful testing. The entire process takes around 2.5 hours and requires an overnight fast. The Habit Challenge Shake – The company’s proprietary mixed macronutrient drink used to gauge your body’s response to protein, carbs, and fats. Blood samples collection materials – The test requires three blood samples collected at several time intervals, including before and after the shake. Core measurement – The kit also contains a tape measure used to measure your core directly around the navel. Digital questionnaire – During the testing process, you will be able to access an online questionnaire in order to provide some additional info about yourself (weight, height, and self-reported physical activity). DNA swabs – Unless you purchase the import option, you will have to swab the inner sides of your cheeks three times. After gathering your biological samples and filling the online questionnaire, you can mail them to the Aegis lab, a third-party CLIA/CAP-accredited testing facility partnered with Habit. The lab is also HIPAA, GCP, and USDA compliant. The lab technicians will analyze your blood sample for post-meal glucose (30 and 120 minutes), fasting glucose, C-peptide (30 and 120 minutes), fasting triglycerides, post-meal triglycerides (30 and 120 minutes), total cholesterol, LDL cholesterol, and HDL cholesterol. Your saliva sample will be tested for caffeine sensitivity gene variant, lactose intolerance gene variants, cholesterol balance gene variants, blood sugar management gene variants, triglyceride balance gene variants, weight gain gene variants, gene variants related to blood pressure, gene variants related to omega-3 fatty acid production, gene variants related to vitamin D levels, and gene variant related to folate metabolism. 6-8 weeks after receiving your samples and information, the lab will generate your final report. The results will be posted to your personal Habit account and you will be able to access them through a dedicated Habit app. Once your results are ready, you will receive a confirmation email. 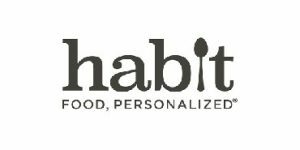 Habit is a personal nutrition program that combines your blood biomarkers, DNA data, and self-reported information in order to produce nutritional and dietary recommendations based on your personal needs and goals. The science behind the tests is based on 1,000+ peer-reviewed studies and the screening process looks at more than 70 indicators to better understand the cravings of your metabolism. Hero food assignments, daily food servings, personalized recipes tailored to your Habit Type, and sample weekly meal guide. Habit Ally is basically Habit Core plus an additional 4-week text-message-based guided program, which begins shortly after your report has been generated. Offering tips, strategies, and support from your personal coach to help you build new habits. You can upgrade your service to the Ally Coaching Program at any time after purchasing Habit Core and you will only have to pay the price difference between the two services. Note that the Habit Challenge Shake contains milk protein isolate and less than 0.2% of lactose. Unfortunately, the company does not offer dairy-free alternatives at the moment and the test cannot be completed without consuming the shake. As we already mentioned in this Habit review, this is a personal nutrition program, so it does not offer any genealogy or ancestry-related information. 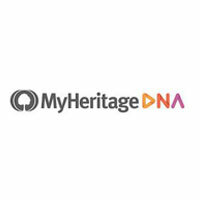 Having said that, if you have already performed a test with AncestryDNA or 23andMe, you can import your data and save 50$ on DNA testing with Habit. Habit will never rent, trade or sell your personal information to any third parties without your explicit consent. Unless you provide your consent, the company will limit the usage of your data to providing its services, processing your transactions, personalizing your website and mobile app experience, enrolling you in consumer research panels, and administering surveys and promotions. Your test info may be anonymized and included in disclosures to third parties for research purposes, but no identifying data will ever be shared without your consent. As we already mentioned in this Habit review, the test will arrive at the provided address within 10-15 business days after the company has received your order. You will receive a confirmation email with a tracking code within 24 hours. Habit testing kits can be shipped to most states in the US, except for Rhode Island, New Jersey, and New York, due to state testing regulations. The company is currently unable to send its kits to PO or APO addresses or outside of the US. Finally, the aforementioned Aegis Lab has licensing restrictions that prohibit its staff from processing biological samples delivered internationally. 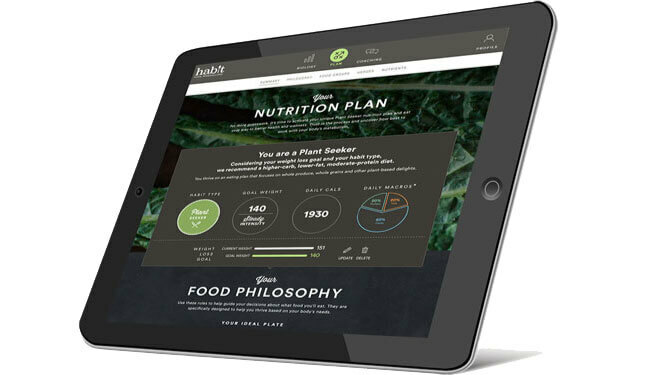 Habit is a unique project developed to help you get in touch with your personal dietary needs based on your genetics and overall lifestyle. Its mission does not end there. It also provides you with personalized recipes, tips, recommendations, coaching, constant support, and everything else you may need to form healthy long-lasting habits. The science behind the company is solid and based on well-known facts proven by thousands of different scientific studies. The testing process is performed by a famous laboratory, which eliminates any possibility of error or test failure. Unfortunately, the company does not feature options for vegans, lactose intolerant individuals, diabetics, pregnant women or individuals with a bypass. Despite these shortcomings, Habit is a very serious and promising company and we cannot wait to see new features and testing options implemented in the future. Our ratings are the result of an objective and independent evaluation of Habit , generating the final rating that reflects the overall quality of the company. Ratings may change as the service changes. Habit user rating based on 2 user reviews. I went through all the genetic tests you can think of (and a bunch you can’t) and Habit really makes for a great addition to the data I’ve already collected. I was already familiar with Aegis Lab and they definitely do some stellar work out there. The only negative I can think of is the inability to ship tests overseas since I wanted to buy one as a gift for my cousin. Definitely recommend this one. We all talk the talk when it comes to healthier habits and then we end up with a double cheeseburger and fries wondering how it all went downhill. Apart from giving me super useful info about myself and designing a cool eating program, Habit also gave me support and motivation whenever I felt like giving up. I can’t stress enough how important that was in the whole story. Three months after I got my results, I can’t even recognize myself. I’m crushing one goal after the other and can’t believe I’m able to focus so much on something and evade all the pitfalls along the way. We found 0 verified Habit discounts for April, 2019.